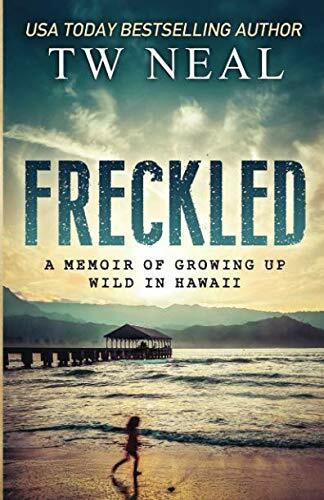 For fans of The Glass Castle and Educated, comes mystery author Toby Neal’s personal story of surviving a wild childhood in paradise. We live in a place everyone calls paradise. Sure, Kauai’s beautiful, with empty beaches, drip-castle mountains, and perfect surf...but we’ve been "camping" for six months, eating boiled chicken feed for breakfast, and wearing camouflage clothes so no one sees us trespassing in our jungle hideout. The cockroachesï¿½leave rainbow colors all over everything from eating the crayons we left outside the tent, and now a tractor is coming to scrape our camp into the river. Standing in front of the tent in my nightgown, clinging to my sister as we face the tractor, I know my own truth: I just want to be normal. But Mom and Pop are addicted. Addicted to Kauai’s beauty, to drugs, to surfing, to living a life according to their own rules out from under their high-achieving parents’ judgmental eyes. I’m just their red-headed, mouthy, oldest kid. What I want doesn’t matter. But I’m smart. I will make a different life for myself someday if I keep up my grades no matter what happens. No matter how often we run out of food. No matter how many times I change schools...or don’t go to school at all. No matter how many bullies beat me up for the color of my skin. I might be growing up wild in Hawaii, but I have dreams I’m going to reach, no matter how crazy things get.